This Sanitary Food Grade Silicone Tubing is suitable for various applications in the food and beverage industries where preservation of taste, aroma and color are crucial. Available in 5' or 50' rolls, 12" of this high quality, platinum-cured silicone tubing also comes pre-installed in select models of Clippard's pneumatic and electronic pinch valves. 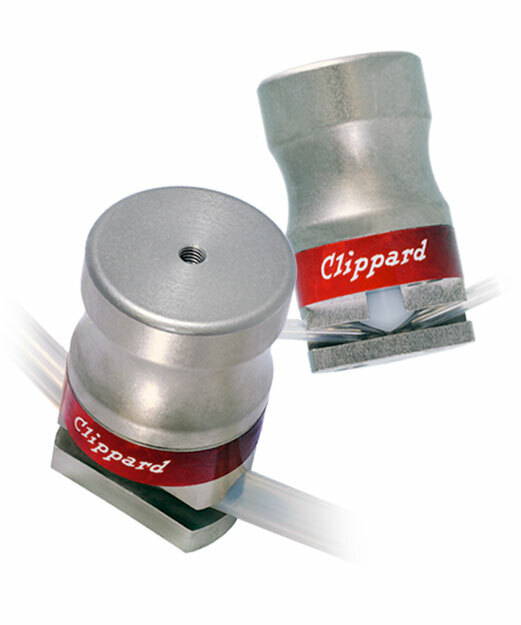 Clippard pneumatic and electronic pinch valves utilize this Platinum Cured Sanitary Food Grade Silicone Tubing with a durometer of 50 Shore A. This type of silicone tubing is suitable for various applications in the food and beverage industries where preservation of taste, aroma and color are crucial. Select models of NPV and NPP pinch valves ship with 12" of this high quality silicone tubing pre-installed.